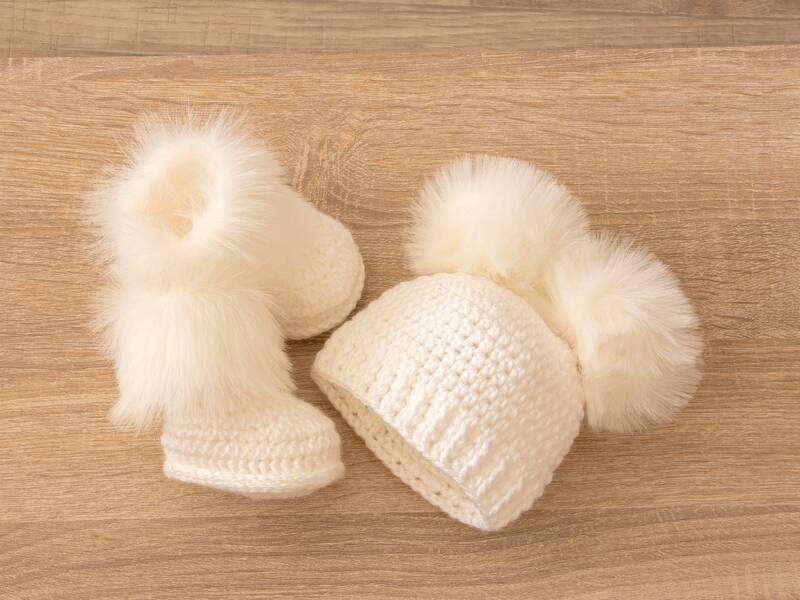 These white baby booties and double pom pom hat are made of a soft acrylic yarn (super soft, NO itchiness!). Perfect for the cooler months. Great set for babies first photos and it perfect for baby shower or new baby gift. 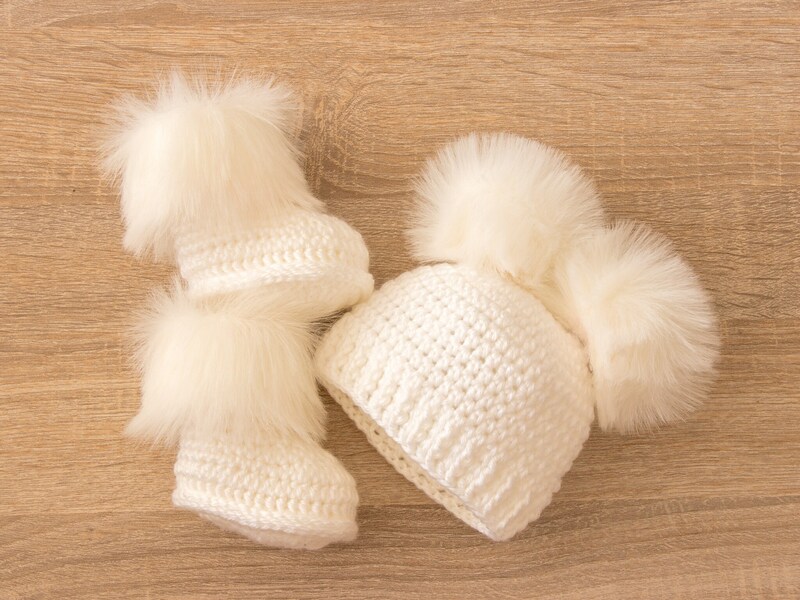 Seller was great to work with and we loved boots and hat so much! Shipping does take awhile, but that’s just how international shipping is. Well worth the wait! Made the perfect gift! Adorable!